With The Tudors men's t-shirt in navy, which reads "Heads Will Roll," let everyone know that you are a Tudors fan! An imported 100% cotton shirt is available in men's sizes small to XXL and makes a great gift for the fans in your life. 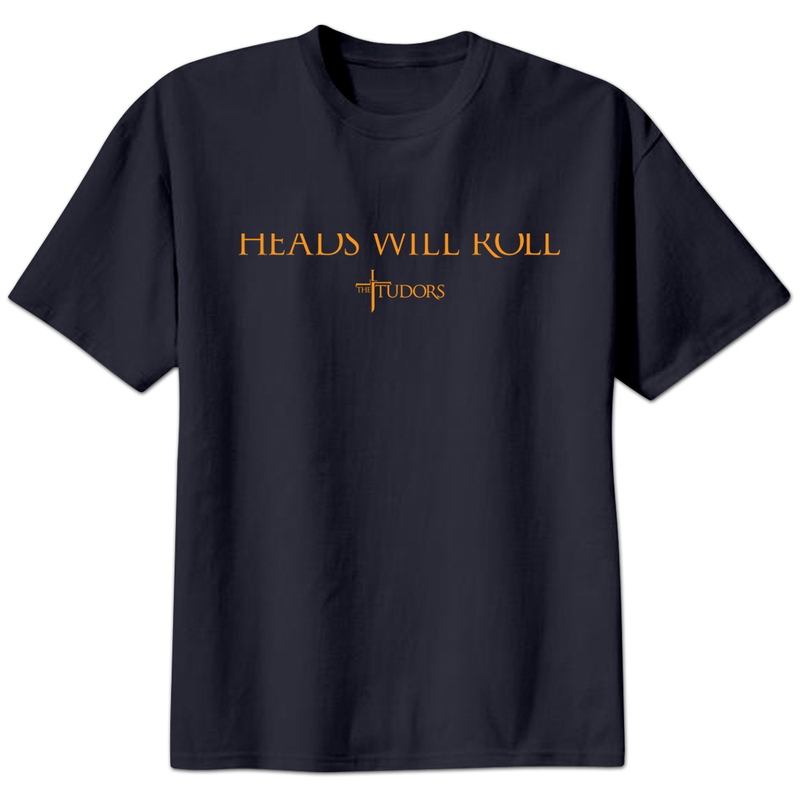 The Tudors TV show t-shirt features the show's logo and "Heads Will Roll" written in elegant script in gold across the chest.